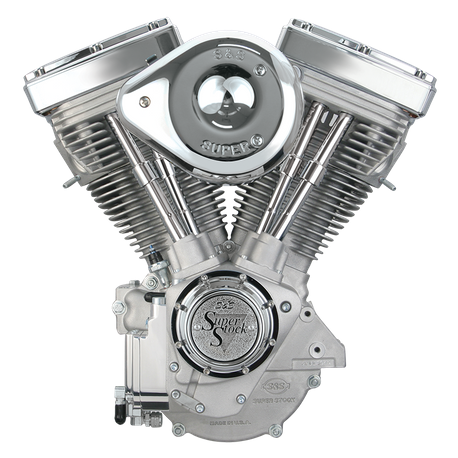 S&S V80 engines are available for carbureted applications only, in natural aluminum and black powder coat finish, with your choice of the S&S Super Stock™ single fire ignition, or no ignition at all. Two year warranty. I put this engine in my 1987 Heritage Softail with a stock 5 speed trans. The difference over the stock Harley Davidson Evo motor is unbelievable. This motor is a thing of beauty. It runs flawlessly with excellent power throughout all gears with great throttle response even from 80 mph right on into 90. I am very pleased with this motor and I am excited for years of riding to come. I am just beginning to brake the motor in so I haven't really topped it out to really see all it can do, but even still just scratching the surface of the performance capabilities of this motor is awesome it's a great motor all around.